WireChief Electric Ltd. is a family owned electrical contractor company serving Burnaby & the Lower Mainland. We are a Licensed, Bonded and an Insured Burnaby Electrician ensuring a standard of excellence to our customers. Our pledge is to establish lasting relationships with our clients by exceeding their expectations and gaining their trust through proficient performances by every one of our electricians. 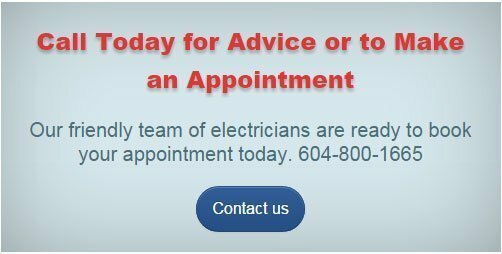 Need a Burnaby Electrician ? WireChief Electric serves Burnaby, BC with a commitment to service and quality workmanship. You can count on WireChief Electric Ltd. for all your electrical needs: Electrical Services & Repairs, Electrical Renovations, Specialty Lighting, Wiring, Upgrades, Installations and Energy Saving Solutions. Trust our proficient Burnaby electricians to charge by the job and not by the hour, taking as long as needed to get the job well done! We set the standard in quality work and friendly customer service. Your Burnaby electrician is not only trained to care for your electrical systems, but he’s also trained to care for your home. We respect your time …. for us it is very important to be on time for all scheduled appointments. We are trusty and we provide everything according to the terms of our agreement and complete your job as scheduled. We speak truthfully about costs before a job begins, so that there are no surprises at the end of a project. We guarantee our work and your 100 % satisfaction with a Lifetime Workmanship Warranty. We are fully licensed and carry $2,000,000.00 liability insurance. We guaranty your 100% satisfaction. Call us and enjoy peace of mind with expert electrical service. Our Burnaby electricians will be friendly and treat you with courtesy. Our trained electricians will wear shoe protectors over their boots and use drop cloths to cover your belongings. Our groomed electricians will leave your home clean. You can expect clean, tidy uniforms. Honest Service: Our customers appreciate our professionalism and solid work ethics. Clever Advice, Expert Solutions: We will carefully evaluate your needs and perform our job with integrity and technical expertise. Brentwood Park, Capitol Hill, Cariboo, Central Burnaby North, Forest Hills, Burnaby, Government Road, Lake City Industrial, Montecito, Oakdale, Parkcrest, Simon Fraser Hills, Simon Fraser University, Sperling-Duthie, Sullivan Heights, Vancouver Heights, Westridge, Willingdon Heights. You can easily reach us by phone at 604-800-1665… We would love to answer your questions!